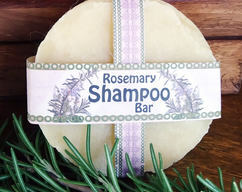 Using Shampoo Bars instead of liquid shampoo in a bottle is a wonderful, simple, easy thing to do for the environment. and your hair. 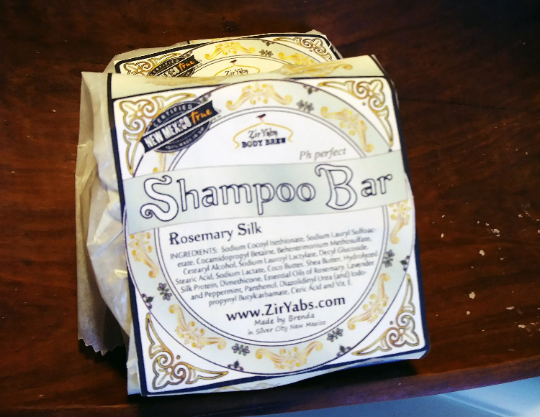 Really, shampoo bars made from high end gentle detergents can be even better for your hair than bottled shampoo. Shampoo Bars can last up to 60 shampoos, just keep them out of the water when not being used. This is vegan and cruelty free too. This is for a 3 oz Sulfate Free Shampoo Bar. The price reflects the cost of the higher grade, sulfate free detergents for gentle, healthy cleansing and mild conditioning. 1) TRADITIONAL: Made using lye in the traditional way soap has been made for centuries. Can add body to hair. People with short hair tend to really like this kind. Also, people with soft water. I make these kind of shampoo bars because my husband, among others, loves them. If you've ever used Dr. Bronner's as a shampoo, you know what lye shampoo is like. 2) OLD NEW FANGLED: These use synthetic detergents introduced in the '30s and are used in place of lye-soap because they tend to be gentler, they are often Ph Balanced, which is gentler on hair and work well in hard water without leaving residue. However most, until a few years ago, often contain mostly sulfate based detergents. 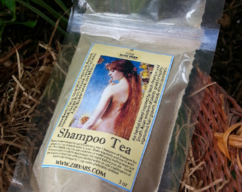 SLS in the form of a shampoo bar risks being too highly alkaline and can damage hair. Sodium Laurel Sulfate is the primary ingredient in Lush's 2 oz bar -which sells for 10- to 12 dollars. Sodium lauryl Sulfate is pretty much the least expensive of the synthetic detergents available. Lush says their bar lasts 80 washes. 3) NEW NEW FANGLED SULFATE FREE: These are also synthetic detergent based shampoo bars without the sulfates (Sodium Laurel Sulfate -or SLS - etc). People think they may be safer to use and better for the environment. One thing is certain though, these alternate detergents without sulfates tend to be gentler on hair and more biodegradable. However, the detergents are expensive. Sodium Cocoyl Isethionate - made from all vegetable, renewable resources, and it is biodegradable. It is the primary detergent used in baby soap. Sodium Lauryl Sulfoacetate. Biodegradable. Made from plants. Great cleansing, very gentle, washes off easily. Cocamidopropyl Betaine: Made from coconuts, this biodegradable detergent works great as a shampoo because it is mild, sudsy and isn't phased by hard water. It works well as a support system to the first two detergents. Behentrimonium Methosulfate: This ingredients has a scary name but has a very safe and beneficial personality. Not only does it help combine the other ingredients, it is one heck of a great conditioner for hair (and skin). It is made from rapeseed but I wouldn't call it natural. 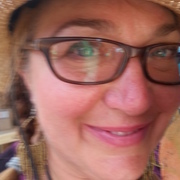 I would call it awesome because it is also the mildest detanglers out there. Some say it is a sulfate, some say it isn't, some say it is technically a sulfate but has been rendered "safe". It is considered biodegradable. Cetearyl Alcohol: This easily biodegradable ingredient is a moisturizing alcohol and adds hardness to the bar as well. Sodium Lauroyl Lactylate: I love this stuff and wish I could afford to put even more in this formula but OMG is it expensive. It is a wonderful hair cleanser in top-of-the-line- shampoos. It is biodegradable, made from vegetable sources and, interestingly, smell lovely. 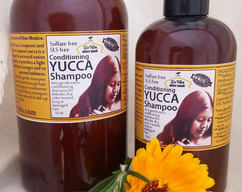 Stearic Acid, this moisturizing fatty acid is biodegradable and keeps the shampoo bar hard. Sodium Lactate is made by fermenting sugar and is a moisturizer. Hydrolyzed Silk Protein: I hydrolyze the raw silk myself. 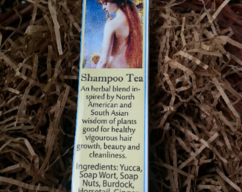 I uses silk because it is thought to be the most penetrating of the proteins once hydrolyzed. This ingredients makes my shampoo not vegan. Panthenol is the B Vitamin in Pantene products: Hair loves it. Diazolidinyl Urea (and) Iodopropynyl Butylcarbamate: This is my preservative system for this product. I use something else in leave on products. Citric Acid: I use this to balance the Ph to a perfect level for hair. Vit. E. is a great anti-antioxidant and help keep oils stable.